Bereavement has more than one side to it. The death of a loved one, the passing of a beloved and inspiring teacher, the huge loss that death brings to us when such death comes unexpectedly. These and similar thoughts assailed me during the funeral of my father and guru Sri Kelucharan Mohapatra. My loss was two-fold. I had lost a father and I had also lost my most revered teacher. The father who sustained me in childhood through years of toil and poverty and the teacher who taught me all I know and whose teaching continues to motivate me through the many years that have passed since his demise. Circumstances did not give me the opportunity to mourn in private, the death of my father and my guru. His funeral very quickly became an international event: apart from visitors from many parts of India as of course, his numerous local well-wishers, admirers and students, the stream of sorrowing visitors continued for a number of days. There were many questions about the medical circumstances of his death which most felt to be an untimely and premature end. Throughout the day and late into the night I was engaged in talking to a multitude of visitors while all along a singular, distressing question lodged in my mind. How could I manage to sustain my family, our institution Srjan and the large number of disciples, local, national and international whose loss was as poignant as mine? 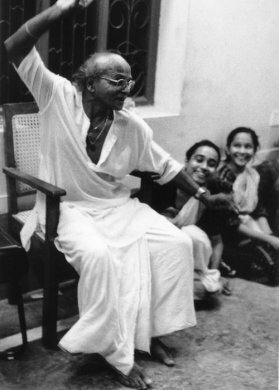 How would the larger family of Guruji continue a life in dance and music in the absence of this great teacher’s knowledge, wisdom, caring, affection and his enduring sense of discipline and rigour? The shepherd had departed, never to come back again. Who would guide the flock now? Guruji died 11 years ago. Yet, I remember like yesterday, two events connected with his funeral that will stay with me for life. The distressing state of my helplessness, the deeply unsettling feeling of rudderlessness at the sudden loss of someone on whom so many of us depended for guidance - this actually gave me the fear that all indeed was lost. This was the first event and it was a deeply personal one. The second event which happened on the second day of his passing had to do with two visitors who had known my father before I was born. Both were Telugu rickshaw pullers who came all the way from Cuttack and reached us as early as 5.30 in the morning. They introduced themselves as his friends and well-wishers who had ferried “Kelubabu” 50 years ago to many destinations in and around Cuttack! And there existed an important rite of passage between the three of them. 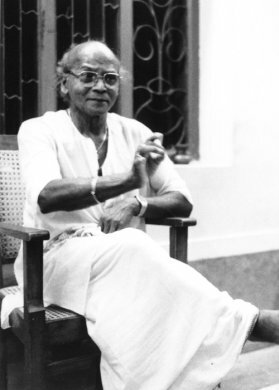 They would exchange with Guruji the news of the day, stories about each one’s personal struggles, the joys and sorrows of living life in Odisha in 1940s. 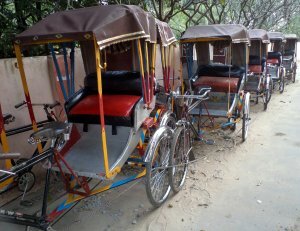 Stories of a dance teacher’s toil and poverty interfacing with the impoverished rickshaw pullers’ tales and experiences of every day’s labour. Also exchanged were bidis and paans which happened to be a favourite with all three. These contemporaries of my father asked to see his body in eternal repose, and the older of them (Apparao) circled his body twice, held my father’s feet for a long moment and finally placed two bidis and a match box near his head, after lifting his torso and embracing his dear departed friend. Never having met them I was curious to know some details about their relationship with him. Apparao explained that Guruji mingled with them freely and exchanged bidis as one rickshawallah would to another friendly rickshaw puller. 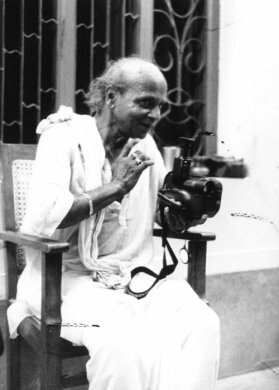 Apparao also knew that the early life of Guruji had been extremely difficult and impoverished when he was a daily labourer in a betel plantation in his village Raghurajpur. Hence, perhaps Guruji had no difficulty in befriending and empathising with people in similar throes of poverty. For me as for many others who had heard the story from me, this was a deeply human and moving experience. And every time this story is retold “Kelubabu” sparkles back to life, his presence real and vibrant among us. Coming back to my sense of helplessness and bewilderment, I need to share with you a small miracle which happened when I, as his son, began to light the funeral pyre. While in the act of consigning his mortal remains to the flames, I began to sense the fear leaving me, a great load slowly lifting from my shoulders. It struck me with cruel clarity that Guruji was not coming back, that I had to carry on his work in this world, that I would have to often look inwards and look into the past to imagine how he would have dealt with a difficult situation - be it personal, social, choreographic, organisational or institutional - and whatever other challenges came in my way in future. My father had died but I began to strongly feel that my Guruji would always be living within me. The parent had left us forever but the teacher would remain at our side for a long time. The shepherd had indeed departed but his spirit had not abandoned his flock. During that time I also recall a second small miracle in my work life. 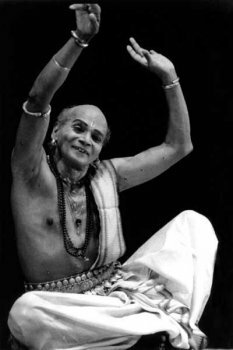 About a month after Guruji’s passing I had to create a complete choreograph on the subject ‘monsoon’ titled ‘Varsha’ inspired by poet Kalidas’s immortal work ‘Ritu Samhara.’ I felt a strong urge to take up this difficult work entirely on my own. 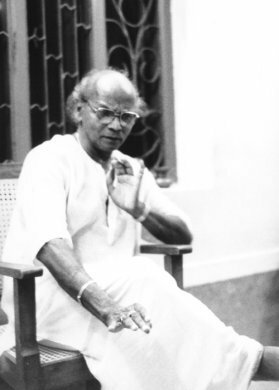 Since Guruji was no longer available to advise me on the new choreograph at every step of the way - as was his habit and my need - I gave myself the task of doing this new work entirely on my own. I was fortunate that my very first solo choreograph, completely unaided, was very well received by varied audiences. The miracle was that I had regained my confidence to do creative and aesthetic work of good quality even in the absence of my father, guru, guide, philosopher and friend. It gave me not only great relief but also great joy that I could continue in the life of art in spite of having lost my mentor. He cannot be replaced. But his instructions and his blessings must have pushed me to face a difficult challenge. In effect, what I had done was to plant my very own sapling, and give it time to grow. I also recognised that I had been nursing an inner desire to explore my own artistic and creative capacities to fashion new work in line with my own sensibilities. At a personal and emotional level, I have to confess that I am truly fortunate to have had the blessings, good wishes and able support of my team at Srjan and a few well-wishers who have selflessly given of their time, support and knowledge in my life and work. In the 11 years of Guruji’s absence, I have not felt that mine was a lonely struggle. And they are the reason for my renewed confidence in continuing to make a mark in the world of Odissi and its attendant aesthetics. The long list of these true friends would definitely include my sister Charulata Das (Charu apa), Manjushri Banerjee (Manju di), Aditya Mahapatra (Sukun mamu), Jayadev Das (Dada), Rajashri Praharaj (Rosy), Debiprasad Mishra (Tikki) and Sujata Mohapatra (Lily). I gratefully acknowledge the gift of their time, wisdom and patience.